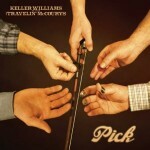 FTB podcast #172 features the new album by KELLER WILLIAMS with THE TRAVELIN’ McCOURYS called Pick. Also new music from TOM HOUSE, THE DEADFIELDS and a track from Even More Songs About Route 66. Here’s the iTunes link to subscribe to the FTB podcasts. Here’s the direct link to listen now! Here is the RSS feed: http://ftbpodcasts.libsyn.com/rss. Freight Train Boogie podcasts also air weekly on RootHog Radio on Thursday nights at 7:00 pm CST and again Friday mornings at 10:00 am CST and on Rob Ellen’s Medicine Show. And you can purchase the Freight Train Boogie Americana App for Android from Amazon for only $1.99. This entry was posted in Americana Music, Americana Music podcast, Music, podcast, roots music and tagged BLITZEN TRAPPER, HONOR FINNEGAN, JALAPENO COMPADRES, JASON HEATH AND THE GREEDY SOULS, KELLER WILLIAMS WITH THE TRAVELIN’ McCOURYS, KEN WILL MORTON, SLAID CLEAVES, THE DEADFIELDS, TOM HOUSE, TRAILER RADIO. Bookmark the permalink. 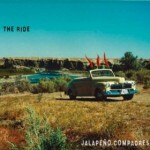 Thanks for playing the Jalapeno Compadres. That’s one of the few Americana bands in Germany, Austria & Switzerland. Such airplay helps to promote Americana music there in general.